What can you do when you’re applying for a job with a listed salary range that you don't think is enough for you? Should you apply for the position and hope for the best, or not bother and move on to the next job opening? Unfortunately, in this type of a scenario, you often don't have many options, though you may be able to negotiate a better salary. That's because if a company has this information listed in the job posting, it's probably not a randomly chosen range and it’s not likely they can go higher than what’s listed. 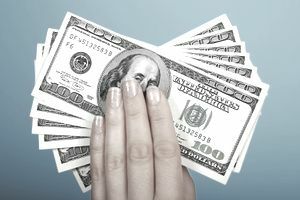 At most organizations that post salary ranges, committees evaluate each position, assigning it a job level with an associated salary range that is based on educational requirements, skills, and responsibilities. This evaluation is done before the position is publicly advertised. If a job advertisement has a salary range that's well below your requirements, this may be a tip-off that it's not the right job for you and it may be best to move on. However, if the salary range is close to what you're seeking, it may be possible to negotiate even you want an amount higher than the top of the range. There may be some wiggle room to get an offer at the higher end of the range, but it would be very doubtful that any candidate would get more than the high point because that would require the job to be reevaluated. However, the hiring salary range may not be the same as the actual salary range for employees in that position. So, if you were hired at the top end of the scale, there may be room to get increases soon. If the salary isn't what you expected for the position, it’s not a good idea to bring it up as an issue until you have a firm job offer. You may reduce your chances of getting the job offer if the hiring manager knows up front that you want more money than what the company is offering. Rather, you could say that your salary requirements are flexible, and not say anything about the range being low, because the company will probably have plenty of other candidates if you're not interested. Plus, the hiring manager likely knows he or she has to work with the range given and will need to find someone who will accept it. That said, when it comes to the point where you have a job offer, you can mention that you have been making a higher rate for equivalent work and ask if there’s any possibility of flexibility in the salary—either now or in the future. While the company may not be able to give you more money at your start date, this could open a conversation into how the company provides frequent year-end bonuses or raises after performance reviews. You can also do salary research on the industry and position. Does the range the company has listed seem fair? If it does reflect the market rate in the area, you may not have much recourse. But if you can show that comparable jobs consistently offer a higher salary, it's possible you'll be able to convince the company to reevaluate the salary range. Not only are you unlikely to receive that amount, but also it's so high compared to the posted range that the company is unlikely to want to engage in negotiations. However, asking for $35,000, especially if you can point to that being what other companies pay, or provide ample evidence of why you're worth the extra money, might be a more reasonable ask.